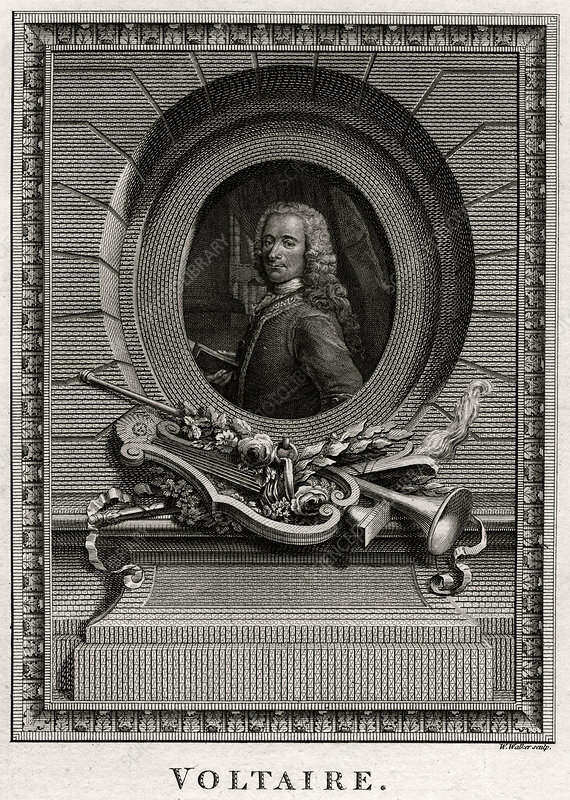 Voltaire', 1774. Voltaire (Francois Marie Arouet), 18th century French author, playwright, satirist and man of letters. Voltaire (1694-1778) was a central figure in the French Enlightenment. A plate from The Copper-Plate Magazine or A Monthly Treasure, London, 1775. Artist: W Walker.